I've been a busy bee and trying hard to keep up with my books, television shows, and new movies. It's been tough trying to balance everything though. I was obsessed with Gwen's new album back in the summer but my love for it was reignited recently. It puts me in a great mood and I find myself belting out to the songs whenever I can. It's definitely become my go-to album when I need to lift my spirits, find energy to clean, or want to dance around. 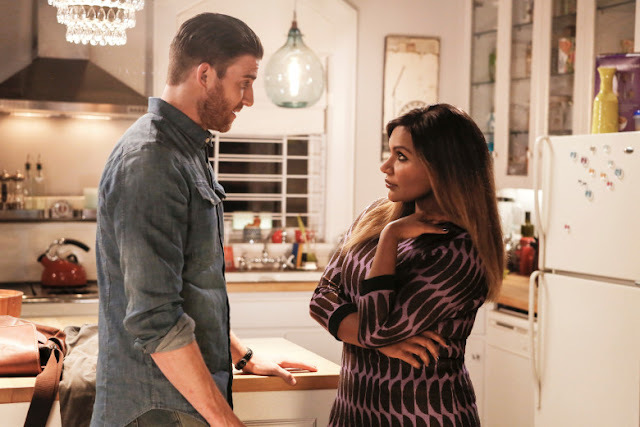 The newest season of The Mindy Project has been airing this fall and I'm loving the story line. They've changed things up a bit in the love department for Mindy and I'm a fan! The actor playing Ben was on One Tree Hill for a while. I loved his character on One Tree Hill and he's just as sweet on The Mindy Project. I love how this show has evolved since airing on Hulu. And can I please move into Mindy's apartment?! ?